CHANGE OF VENUE FOR THE JULY 2019 MAINE BAR EXAM! The location of the July 2019 Maine bar exam has been changed to The DoubleTree by Hilton located at 363 Maine Mall Road, South Portland, Maine. Information regarding the hotel can be found here. Applicants will receive additional information regarding hotel accommodations in their applicant instructions packet in late June 2019. The hotel is offering a discount to applicants for overnight accommodations. When contacting the hotel, please let them know that you are taking the Maine Bar Exam. The Maine Board of Bar Examiners provides the opportunity for examinees to apply for a COURTESY SEAT in order to obtain a UBE Score, but not seek admission to the Maine Bar. Please note there is a separate application for courtesy seating. Please click here for the Courtesy Seat Application. Maine will accept concurrent applications from examinees sitting for the UBE in another jurisdiction. Applicants must still apply as if taking the Maine bar exam, but do not have to sit in Maine if sitting for an exam in another UBE jurisdiction (for the same exam administration). In order to apply concurrently with another UBE jurisdiction, please click here for the Exam Application. Welcome to the web site of the Maine Board of Bar Examiners. The Board designed this site to facilitate access to information about the Maine bar examination. Relevant documents are available to read on-line and to download. The Appropriate Application Form(s) and Instructions. If you wish to download the exam forms, please click HERE. If you do not wish to download the forms, you may write to us at the address below and we will mail you a copy of the Maine Bar Admission Rules, the Application Procedures, and a Request for Application Form. Unfortunately, due to our staffing limitations, the Board does not accept telephone requests for forms or copies of the Rules. Applications are available from March to May for the July exam and from October to December for the February exam. Applicants who do not download an application form from this web site must write to the Board and request and complete a Request for Application Form to receive an application. The information on this website is to assist persons who are potential general or comity applicants. It is of necessity abbreviated at times. If there is any conflict between any language on this website and the Maine Bar Admission Rules (“Rules”) promulgated by the Maine Supreme Judicial Court, then the Rules prevail. Files available to download are in PDF format. If your browser does not have a PDF reader, click on the icon below to download Adobe Acrobat Reader. Maine State Bar Association provides services to attorneys, such as CLE seminars, and services to the public, such as the Lawyer Referral Services. To contact the Maine State Bar Association, click here. 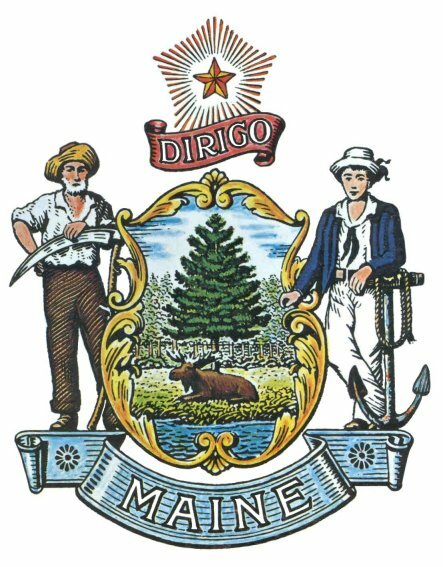 Maine Board of Overseers of the Bar registers Maine attorneys, handles complaints about Maine attorneys, and administers the mandatory CLE requirement in Maine. To contact the Maine Board of Overseers of the Bar, click here. Maine Lawyers Review publishes twice per month providing digest summaries of law decisions, legal news, and upcoming event listings of interest to lawyers. To contact the Maine Lawyers Review, click here. This site was last updated on 1/3/19.